Not Good Enough For The BBC! Newsjack Series 11 – PART 6! So that’s it for another series of Newsjack. I’m happy to report that all in all I got my second ever sketch credit and I think my 10th one liner in this time. It’s hard to believe that I’ve been in the last four series (my first attempts and credits came in series 8). Where does the time go? Nowhere. Because it is an abstract concept. (Or is it? I actually don’t know. Ask Brian Cox if you’re so interested). What now? Well, I am writing my second fiction book, but that’s another matter. As far as comedy goes, especially radio comedy, I am going to start drafting a long festering sit-com idea and work it up into a treatment. I have done this in the past with a previous idea (I wrote a pilot episode) and was told by David Tyler of Pozzitive productions that it was ‘better than most’, but not quite there yet. So I did what any writer should do… nothing. Actually, I got distracted by other projects and never returned to writing a comedy script (apart from Newsjack submissions). But I’m going to have another go with a new concept and see what happens. I guess it is good advice to work on something in your spare time, no matter if there is an open submission programme waiting for it or not. Being a writer simply means writing something down, so all of us can achieve that – being a successful writer is objective, and really depends on who you are and what you want out of life. Start with step 1 – write something, and go from there. I think that this series of Newsjack has improved on the last (not that there was anything wrong with the last, but things can always get better). It seems like the new production team and host have settled in and got a good idea of the direction and personality of the show. I have no idea if they will be moving on for the next series, but if they do, I think they have all done themselves proud. It must be a hell of a challenge just to get anything out in such a short time scale, let alone something that more often than not makes you laugh. There have been some very good sketches this series, and it makes me feel a little better (and more determined) when my material is passed over for such clever little laughter nuggets. I might do one more blog next week on some of my unused sketches, but for now, here are my final, unused, one liner submissions for episode six of Newsjack. Well done to everyone involved, even those who submitted with no luck. Having the confidence and discipline to send that email in is an achievement in itself I reckon. Thanks for sticking with me throughout this blog. I blog every week, on a variety of subjects, so why not click the subscribe button and see what I get up to between series of Newsjack? Or even better, buy my book advertised in the top right corner of the screen? (Just a thought). Bye! Tree of the year competition accused of blatant exploitation as finalists appear naked in Autumn photo shoot. (I thought this was my best chance this week! I always order my one liners in what I think is the best shot… but am usually proved wrong every time they actually use on). Mystery abounds as several victims are found choked to death on blue cheese in the Roquefort files, this Monday at 3pm. (As I said before, I struggle with these a little! The TV listings are a quickly exhausted supply of source material. After six weeks of going through them you realise everything is just repeated every day pretty much). Not Good Enough For The BBC! Newsjack Series 11 – PART 2! I had a great response from last week’s post about the jokes that didn’t make it into episode 1 of BBC Radio 4’s open-door submission topical comedy show ‘Newsjack’ (find it here – https://garryabbott.com/2014/10/01/not-good-enough-for-the-bbc-newsjack-series-11). I was therefore delighted when I found out that none of last week’s entries made it into episode 2 of Newsjack at all! Of course I wasn’t really. Part of the whole process is the weeks where you just don’t make the cut (and there are generally more of those). In the first episode I had already struck ‘credit’ gold with my second sketch ever to be broadcast on national radio, so I know from this point on anything else is a bonus. That doesn’t stop me slaving away over a hot BBC news website every weekend trying to fill my quota though, so inevitably, when nothing gets on I still feel a tinge of disappointment. But then, being a self employed writer and musician, dealing with rejection is an almost daily, if not hourly, affair. The world of speculative creativity (sending out scripts, releasing books, bidding for work, etc…) is a harsh one, and not for the faint hearted who like to know where basic things like money and food are coming from, but that’s a whole different blog! For now, while Newsjack is still running over the next few weeks and I have a store of unused topical jokes that are getting more outdated with every minute that passes since the news story that inspired them broke, shattered, and was swept away by the celestial caretaker of current affairs; I will continue to share a selection of them with you. And it really helps me find something to write each week. I’ve been doing this blog for over a year now. Can you imagine how hard it is to find something new to write about each week?! So, without further ado, here are last week’s unused one liner entries for Newsjack Episode Two. This week with added notes! Defecting to UKIP is ‘utterly nuts’ says Boris Johnson as he zip wires down Big Ben dressed as a chicken, wrapped in a union flag. So that’s it! Like I mentioned previously, I am not posting sketches for now, I will do something about them after the series has ended. I still find the TV listings a bit strange. They aren’t really topical. It’s hard to be topical with them. These could have been submitted any week of the year really, although this week I have managed another one that does cross-over with a news story, so we will see. Good luck to any other contributors out there who are still submitting every week! Thanks for reading. Oh and, hey – why not buy my eBook? (sidebar – top right – speculative/science fiction collection – on offer at 77p / $0.99!). Advertising. Food. Money. Survival. Thanks. Not Good Enough For The BBC! Newsjack Series 11! For those of you who don’t know, ‘Newsjack’ is a topical radio comedy that is broadcast on BBC Radio 4 Extra and has an ‘open door’ writing policy (anyone can submit material). It is the BBC’s flagship show for encouraging and recruiting new comedy writers by giving everyone a chance to get their material performed, recorded and broadcast. Each week writers can submit up to two sketches, nine ‘one liner’ jokes, and now also a ’30 second advert’ sketch. I always try to send everything each week as it pushes me to get better at writing to deadline and under pressure. So far I’ve had quite a bit of success and managed to get writing credits in the last four series. I think the current count is 10 one-liners and 2 sketches (having just got my second sketch broadcast in episode 1 of series 11 last Thursday – find it here at 17:07 the ‘Reverend Welby’ sketch and intro: http://www.bbc.co.uk/podcasts/series/newsjack). But still there are always those jokes that didn’t make the cut, and it seems a shame to let them languish on my hard drive when I could be inflicting them on you good people. So here it is again, the return of ‘Not Good Enough For The BBC! 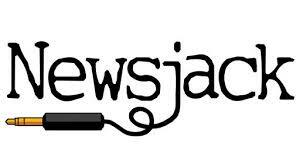 Newsjack Series 11’. I’m only going to post the one-liners. I might do something about unused sketches after the current series has finished. Just so you know, there are now only two categories of one liners that we can write for; we can submit 6 ‘Breaking News’ lines (comedy headlines basically) and 3 ‘TV Listings’ (continuity announcers type stuff… Tonight at 9pm on ITV etc…). I find the TV listings much harder as they aren’t really ‘topical’, they are more ‘pun’ based usually, unless you can find a current news story and TV show that work well together. As you will see from my submissions below, I actually managed that last week with the Tesco losing £250 million pounds story set up as the ‘£250 million pound drop’ game show. A version of this joke was actually used last week with slightly different wording, but it wasn’t mine! Unfortunately for me, another writer had the same idea and must have been higher up in the reading pile. This also happened to me last series with a TV listing joke about ‘The Great British Sewing Wasp’, which another writer submitted as ‘The Great British Knitting Spider’ and got the credit for! These things happen when over 700 submissions are boiled down to only about a dozen writers. That is why it is important to be as original as possible or just avoid the big news stories (and therefore possible duplication/competition). So, here they are. Enjoy! (And make sure you read them with funny voices in your head… you know the ones, the funny voices in your head. Let them read them and don’t be scared). As Strictly fever sweeps the nation, President Obama pledges 10,000 troops to help stem the threat. Australian man fends off crocodile with a stick when drunk. Where the crocodile got the alcohol from and why it used a stick leaves zoologists baffled. The first man to buy an iPhone six who was filmed dropping it on the floor has said it wasn’t an accident after all, he’d just found out that the entire U2 back catalogue had been pre installed. A controversial law in Florida to ban baggy trousers that expose the buttocks has been overturned. Police fear this will lead to more crack on the streets. As Alex Salmond declares his support for Nicola Sturgeon to become the next leader of the SNP, rival candidates complain that there’s something a bit fishy about all this. Ed Miliband disappointed to find out that the coalitions policy on house inflation doesn’t mean everyone gets to live in a bouncy castle. Coming soon to ITV, the stakes are set even higher with the new thrilling game show: 250 million pound drop! Sponsored by Tesco’s. This week on ITV, Davina McCall presents, everything. This Saturday on BBC1 at 6.30pm, any old rubbish with some celebrities jumping about for an hour to kill the time before Doctor Who starts.